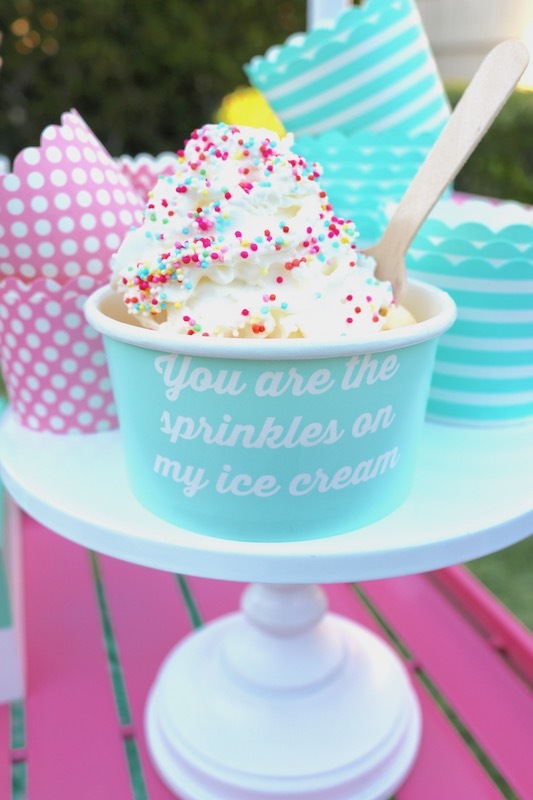 Easy ways to celebrate with ice cream! 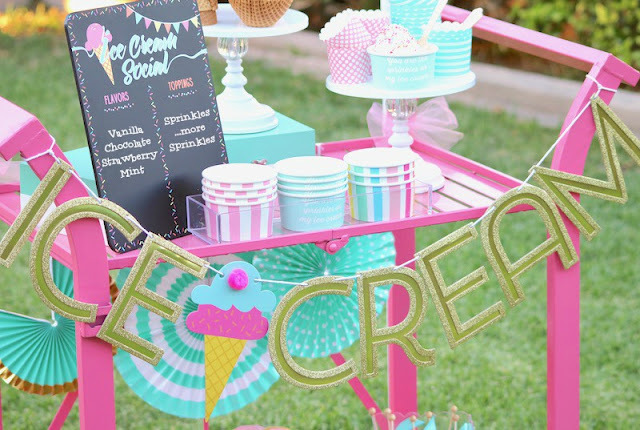 Are you screaming for ice cream?! 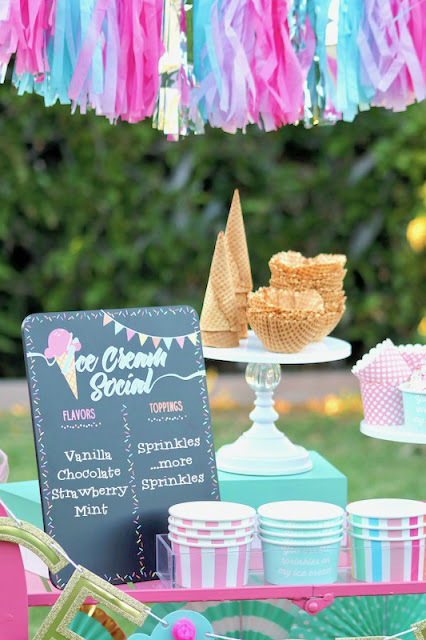 We've got some simple ways to create an ice cream social that will make your taste buds happy! 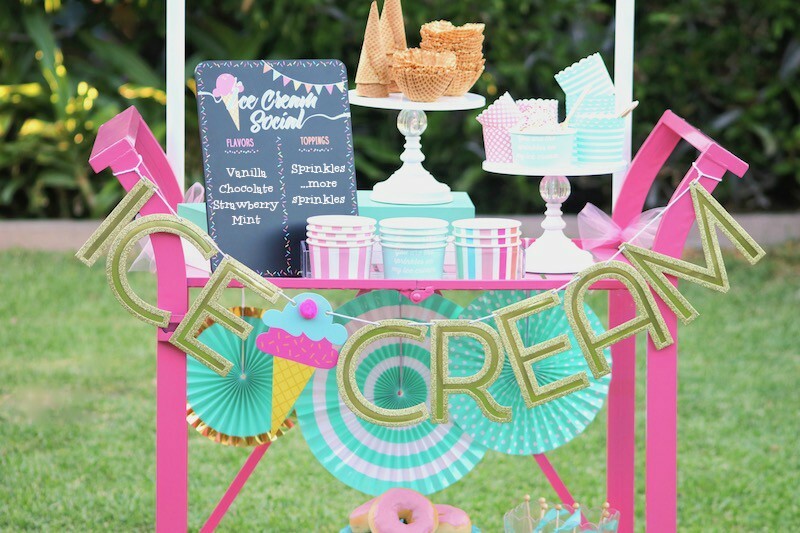 Cool treats are perfect for those hot days when you want to take a break from all the hustle & bustle of the daily grind. 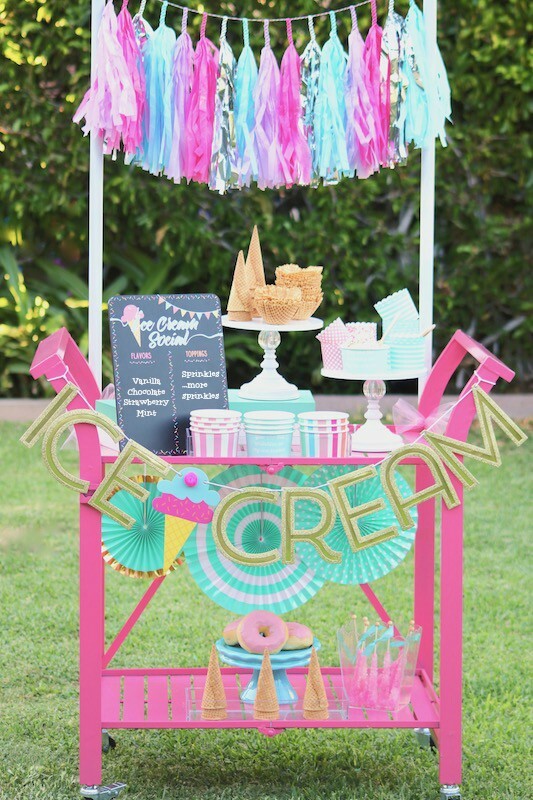 Grab a table, or in this case... a bright pink bar cart from HomeGoods, and start piling on all the goodies! Create a festive menu that lists all the fun flavors and toppings! 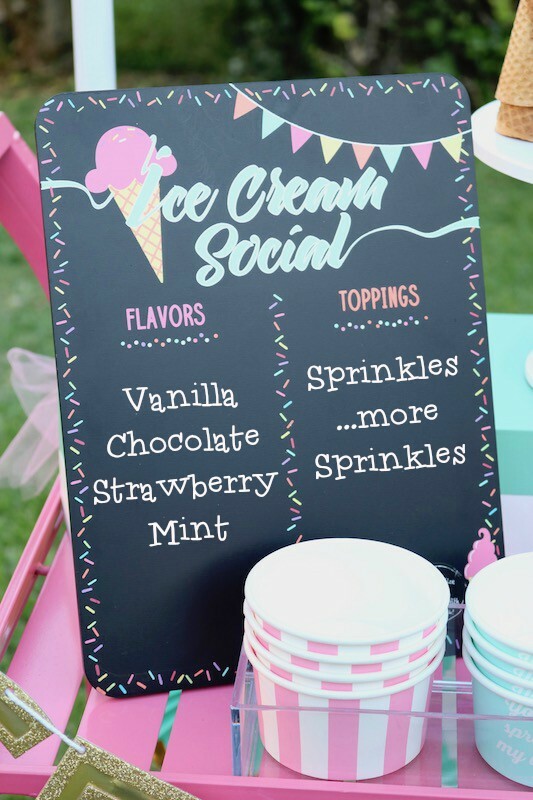 I "scooped" up this darling sign from the Dollar Spot at Target! 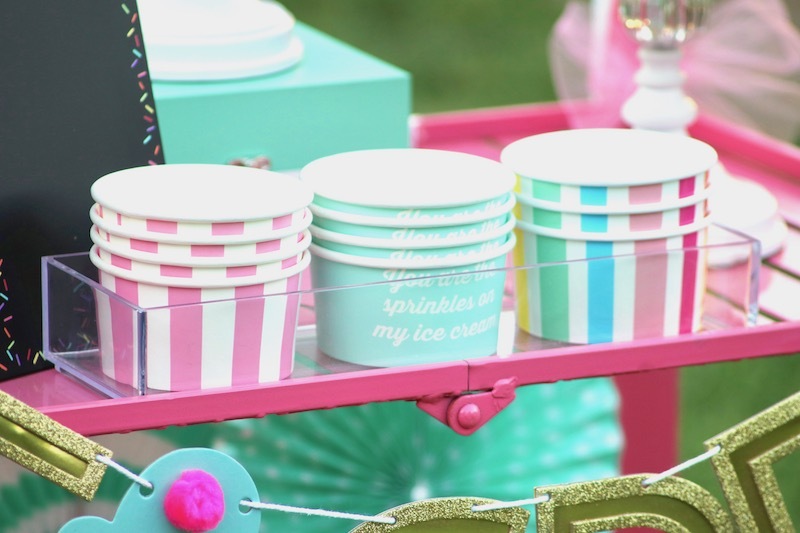 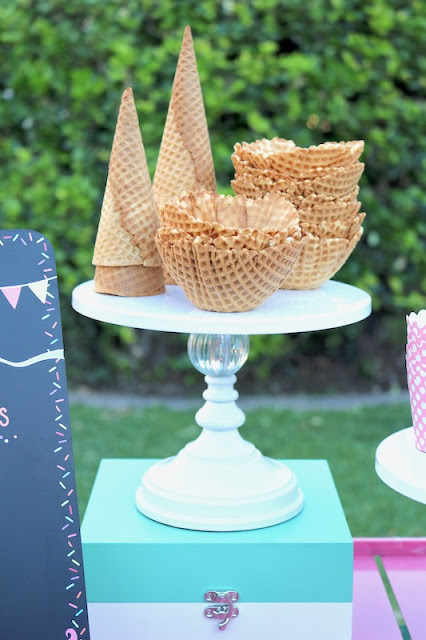 Set out cones, cups, bowls, or whatever your guests can use to pile on the ice cream! 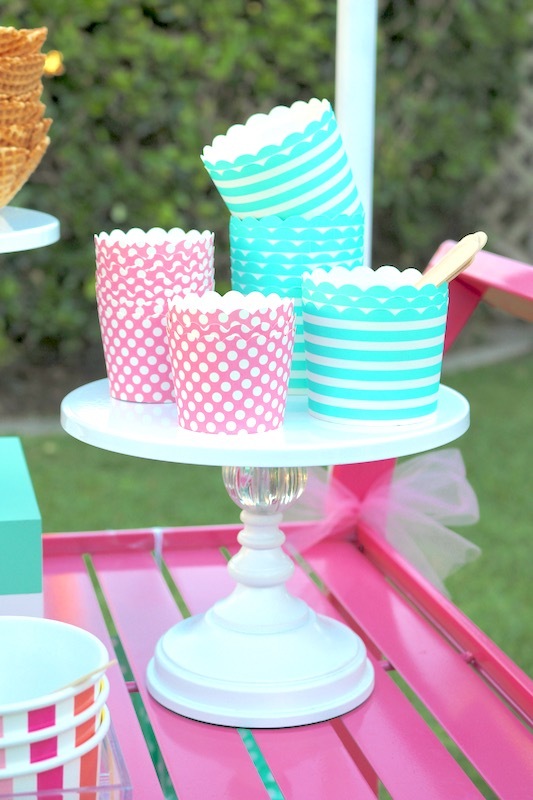 Display them on cake stands for easy grabbing. 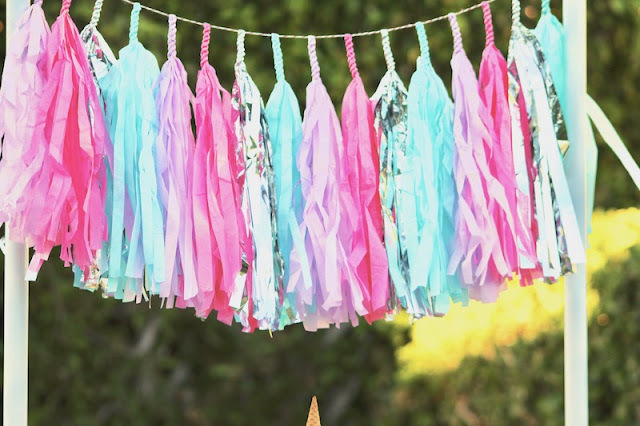 To make your social area super sweet and festive, decorate it with fun colors and cute banners! Tissue tassel is an easy way to decorate any space. 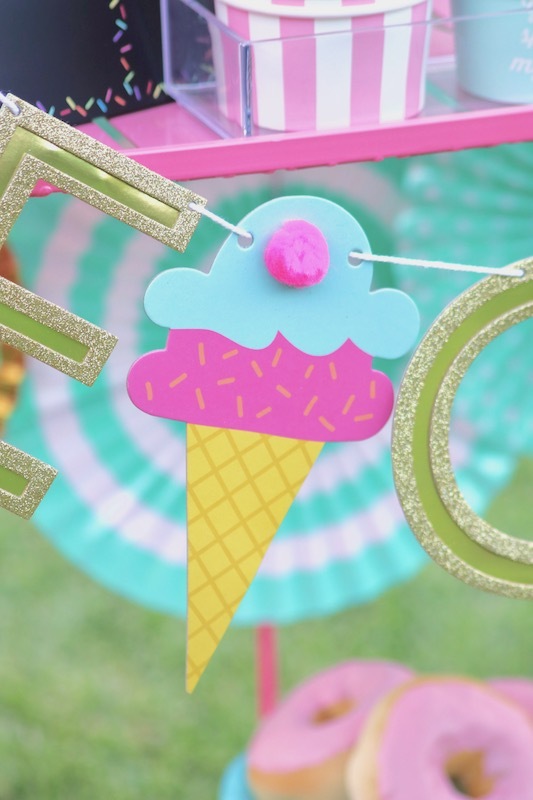 Attach it to the front of your table, balloons, and more! Are you drooling over this ice cream banner? Another fun-find from Target! I don't know about you, but we're ready to socialize over some ice cream! What are some of your favorite ways to serve it? 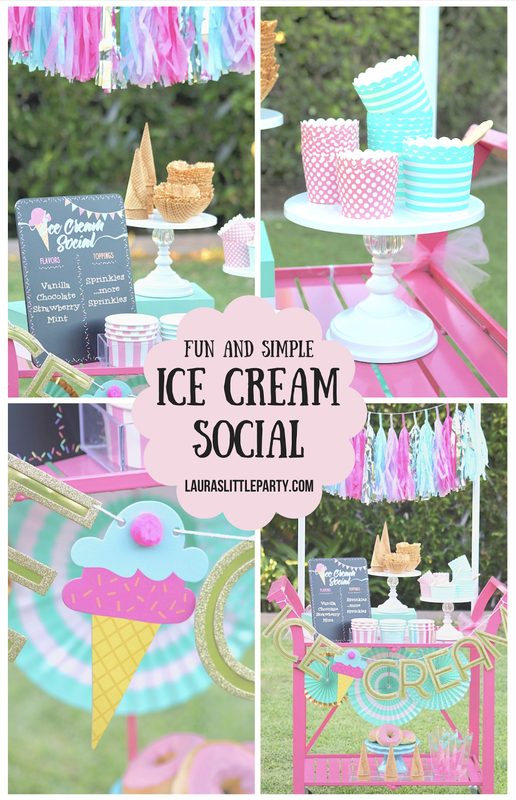 Here's a pin to save to your ice cream party boards! 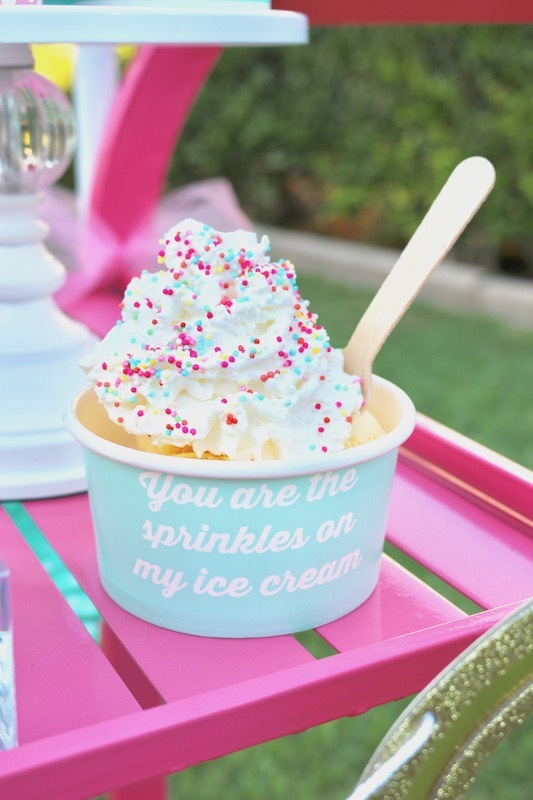 Updated from original post, shared May 2017.